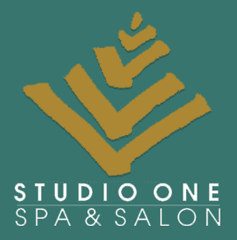 Our completely renovated 6,000 square foot spa, salon, and fitness studio in the heart of Galena's historic Main St. district offers visitors a quiet respite to all that Galena has to offer. Come enjoy three luxurious levels of relaxing spa-ssibilities! We would like to welcome to our Main St. space, Robyn Davis, who owns and operates Slumber, a romantic vintage inspired boutique specializing in the very best in comfy sleepwear, luxurious lingerie, loungewear and much more. In addition, Dr. Joel Heer, has opened a chiropractic location on our third level. For appointment(s) with Joel at our A Clover On Main location you can call any of the spa numbers listed. A Clover on Main is a perfect spot to host a girlfriend getaway party, a wedding or baby shower, a couple's retreat or just a respite from your shopping odyssey through the wonderful shops in downtown Galena. Call toll free: 877-3-Day-Spa or local: (815 776-9155 for more informaton. Join us for the original ghost tour of Galena's sites, cemeteries and famous ghostly tales. Costumed guide. Reservations recommended. Restored 22-room mansion built by a river-boat captain in 1857. Features oil paintings and other items that appeared in Gone With the Wind, as well as select pieces from the Liberace Collection. Call (815) 777-0747 for more information. Winter ski/snowboard resort with 19 slopes, ski apparel shop, restaurant/lounge. Open in summer/fall with Alpine slide, outdoor miniature golf. Nature trails and mountain bike rental. Call (815) 777-1320 for more information. Casino offering slot and video machines, as well as table games. Open year-round and 24 hours on Friday and Saturday. Restaurants and Free Admission and Parking. Call (563) 690-2100 for more information. Galena’s oldest home built of native limestone in 1826 and furnished with period furniture. Call (815) 777-1250 for more information. The North Course sports elevated tees, long vistas through the countryside, rolling fairways and large undulating greens. Fever River rents canoes, kayaks, bicycles, scooters, snowshoes, cross-country skis. 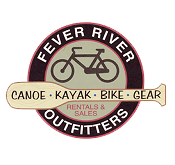 Fever River also sells quality boats, sports gear and apparel. Call (815) 776-9425 for more information. A quaint 96-year old family farm where the Academy Award nominated movie “Field of Dreams” was filmed in 1988. Bat balls, play catch, run the bases or sit in the bleachers and dream. Free admission. Open daily 9 a.m. to 6 p.m., April through November. Call (563) 875-8404 for more information. Fried Green Tomatoes serves upscale Italian cuisine in a historic stone setting, once home of general Ulysses S. Grant's father's "Leather & Finding" store dating from 1838, is located in the heart of lovely downtown Galena, IL. 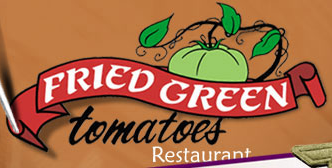 The wide assortment of pasta, steaks, seafood, veal & chicken as well as a Wine Spectator Award winning wine list accompanied by impeccable, detailed service make Fried Green Tomatoes a dining experience to remember. PLEASE NOTE: We do not offer booster seats or high chairs, we are also a multi-level dining facility. 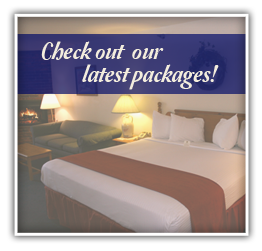 Reservations Suggested – ( 815) 777-3938. Natural bath and body products; soy candles; make-it-yourself stations for candles, bath beads, scented bubble baths, gels and lotions. In-store parties. Call (815) 777-3060 for more information. Wine tasting sessions and tours of fermenting and aging facilities. This working winery produces over 50,000 bottles annually of award-winning fruit and table wines. Call (815) 777-3330 for more information. 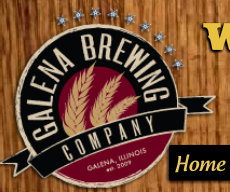 Iowa Wine Trail Tours also offers a Galena Cellars Vineyard Tour for $35 per person. Step aboard the climate controlled Galena/Iowa Wine Tours bus leaving twice daily at 11:30 AM AND 1:30 PM from the Galena Trolley Depot for a short ride through the beautiful countryside of Jo Daviess County with its rolling hills, scenic valleys and cold water streams as we make our way to Galena Cellars Vineyard. This year marks Galena Cellars 31st year of excellence. Offering more than 40 distinct award-winning and nationally recognized varieties of wine. Along the way, your professional driver will narrate the history behind the Upper Mississippi Valley Wine Region. Experience a sensory tasting, facility tour, sample 7 wines and on-site shop before departing back to the Galena Trolley Depot. Price per person of $35 includes climate-controlled transportation, tasting and tour fees and bottled water on-board the Galena/Iowa Wine Tours bus. For reservations, call 563-581-8123. We need a minimum of any 4 people for this tour to go out. Tour departs at 11:30 am and 1:30 pm. Enjoy! Enjoy one of tri-states best manicured golf courses at a great rate! Full service bar, grille, pro shop & practice range. Exhibits on the Civil War, steam boating and lead mining. Make sure to check out the hologram of the Grants, touchscreen interpretation of “Peace in Union” and informative videos throughout the exhibits. One-hour tour explores historic highlights, plus "Field of Dreams" movie locations. Saturdays, 10 a.m., May-October, DeSoto lobby. Reservations not required. Hot air balloon rides sunrise and sunset daily. Reservations required. Gift certificates available. Groups welcome. Call for pricing and information. 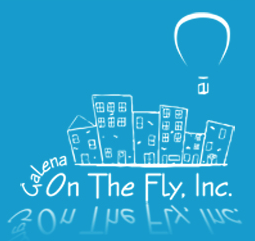 City tours of Galena and to major attractions. Group services and charters. Your complete resource for wedding supplies and services for Galena, Illinois and the surrounding Tri-State area of Iowa and Wisconsin. Grandpa's Taxi company in Galena, Illinois & Jo Daviss County offers premier, dependable taxicab services for airport shuttle service, nighttime transportation, senior transportation, and safe rides to your desired destination. Give us a call anytime...(815) 990-5454. Wine and martini lounge with the most diverse wines, liquors and beers in Galena. Live entertainment all weekend. Saturday Bloody Mary Bar. Gourmet appetizers daily. Call (815) 776-WINE for more information. Historic carriage rides, dinner rides, romance and roses rides. Friday and Saturday evenings, 5 p.m.- 9 p.m.
Greyhound racing and casino offering table games and 1,000 slot machines. Open year round and 24 hours on Friday, Saturday, and on special holidays. Live greyhound racing from May through October. Simulcast racing year-round Wednesday through Sunday. Complimentary valet parking and self-serve beverage stations. Call (800) 373-3647 for more information. Enjoy dynamic aquariums, historical exhibits and stroll through the wetlands and boatyard. Experience interactive displays throughout the museum including two award-winning films. Take tours of the landmark steamboat William M. Black and watch as a boat is launched into the Mississippi River. Open year round. Call (563) 557-9545 for more information. Beauty salon, spa, mobile spa services, manicures & pedicures and facials. Call (815) 777-1275 for more information. Where family and friends gather for conversation & time well spent! We offer one GREAT restaurant with two entrances to a quaint Location. 204 Perry St. along the Cobblestones or 120 N. Main St. across from the Elks Lodge. There are NO STEPS from Bench St. and all day FREE PARKING along the street. Call (815) 777-0690 for more information. Built in 1845-46, the Old Market House served as a center for merchants and civic meetings during Galena’s most prosperous period. Today it houses a variety of historical exhibits, including artifacts from the Old General Store Museum. Call (815) 777-2570 for more information. 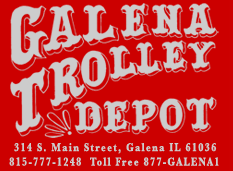 Galena's only ADA-compliant and climate-controlled trolley service! Daily narrated tours, May-October. Unique group tours, wedding transportation offered year-round. Built in 1860 in the Italianate bracketed style and furnished with period pieces that belonged to the Grant family. 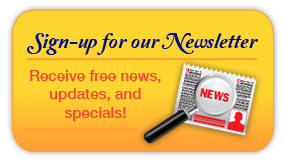 Call (815) 777-0248 for more information. Greek Revival home built in 1843 by Galena lawyer and congressman, Elihu B. Washburne. It was here that Grant learned of his election to the presidency in 1868. Didn't find what you were looking for? 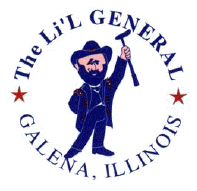 Visit the Galena Visitors Bureaus website at http://www.galena.org/ for more attractions in the Galena area.